Having well-developed abs is key to forming a beautiful and healthy body. If you see a man with muscular arms and a strong chest, you don’t exactly expect him to have a beer belly, do you? Balance your exercise plan with a healthy diet and you will have ripped abs in a matter of months. 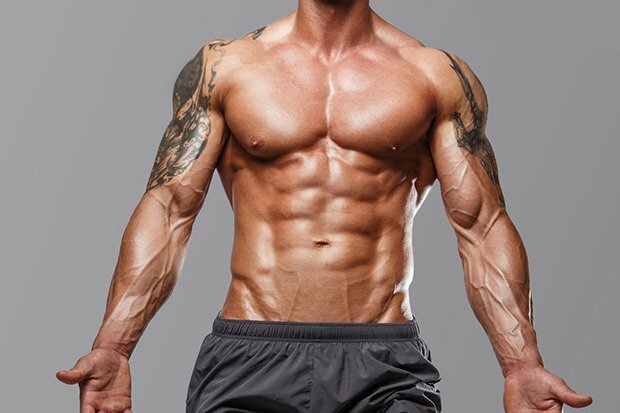 To start off, here’s four killer exercises for obtaining powerful abs. The ab wheel can be found in pretty much any fitness shop, and it’s an invaluable device for quick and healthy ab development. It is also incredibly easy to use, and much more effective than the traditional crunch. If you’re a beginner, do your rollouts while kneeling, as it will make them easier, although still demanding enough to strengthen your muscles. Hanging leg raises are bound to build abs as hard as concrete when you do them right. Hang from a bar and curl your hips and knees to your chest, then return to the starting position. You will be developing strength and endurance, but flexibility as well. They will seem incredibly difficult at first since it is a difficult exercise, so don’t overdo it! You never thought about doing squats for your abs, did you? Well, let us tell you that squats are undoubtedly one of the best exercises for training your upper body, as well as your lower body. Another fantastic thing about squats is how versatile they are – you gain muscle mass, lose body fat, improve your athletic performance overall, and build a strong and functional body all at the same time while doing squats. Similar to the squat, the deadlift can also help many parts of your body develop simultaneously, but your lower body and back are those that will feel the most punch. A couple of deadlifts a day for a couple of months and your abs will be harder than a mountain.